Black Friday is one of the biggest shopping days of the holiday season – and one of the biggest days for retailers and their profit margins. While Black Friday is key to increasing year-end sales, most retailers wait to start promoting their Black Friday offers until the limited time period right before the “shopping super bowl” day itself. 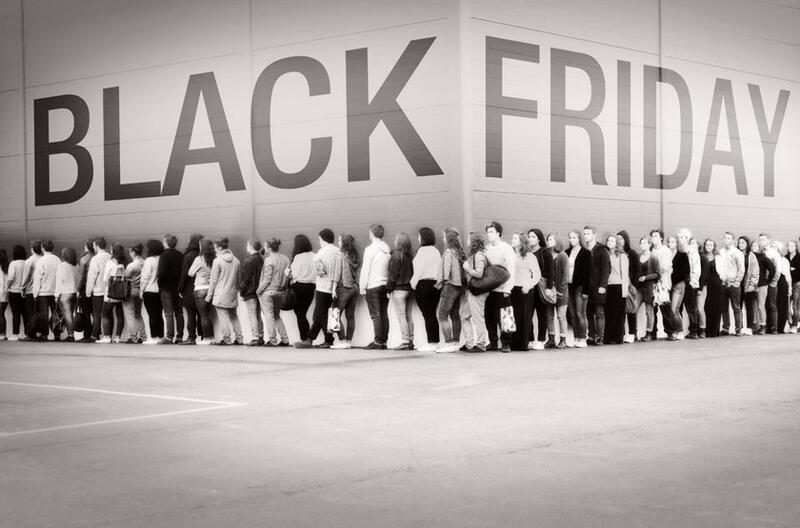 This post is the first in our series on how to get smarter about Black Friday. First up: small companies and your Black Friday marketing starting early. Since retailers know the importance of Black Friday, they buy up as much virtual and physical advertising real estate as they can. This means that ad prices go up, and the available inventory that can be won goes down. For a smaller or newer retailer trying to compete with the larger corporations, this means more competition and much higher prices. Further, consumers are being bombarded with messages and offers from everyone at the same time. Consumers will almost always ignore a brand they’ve never heard of. And since they’re getting so many promotions at the same time, consumers will typically stick with the brands and online retailers with which they are familiar. So how should a smaller or lesser-known company compete during the holiday season? Build brand awareness – and start early. Planning for Black Friday promotions should start early, preferably months early. Laying out when promotions should begin and how long they should run helps determine budget, tactics and potential ROI. Besides the planning phase, campaigns should begin as soon as the beginning of November. Again, many marketers will push back against this rationale: Why waste valuable dollars before shoppers are even thinking about buying products? Yet, that is the key for most smaller and unknown brands: If marketers build brand awareness and recognition before consumers are ready to buy, they’ll already be acquainted with the brand before they are inundated with Black Friday messages and decisions. While brand awareness is a good reason to start early, it’s not the only reason to get a head-start on Black Friday campaigns. The other is early intelligence. With the advent of strong data-infused paid media campaigns, marketers can now identify information about new users. This data can provide proxy metrics of engagement that identify key audience patterns. These patterns can then be used for larger budget pushes nearer the peak of Black Friday shopping. Basically, intelligence of “pre-peak” sales can help marketers identify new user demographics, psychographics and the like. This data can then be pulled into later, larger campaigns. If marketers really want to get as many sales as possible from Black Friday, then they need to start their campaigns long before the week of Thanksgiving. Start campaigns early, and build brand recognition amongst target audiences. Further, early intelligence can make larger campaigns smarter and more targeted. Then, when the “shopping super bowl” starts, consumers will select your brand since they already recognize it, despite all the clutter from other brands. This entry was posted in Digital Analytics + Optimization and tagged Black Friday marketing, Brand awareness, digital marketing, Katana, online advertising. Bookmark the permalink.